Adults of this species vary from brownish to bright green. This is a tiny baby, with some green highlights on an otherwise fairly drab dark body. I saw several large bright green adults on trees as we drove by, but this little fellow is the only one I had a chance to photograph. 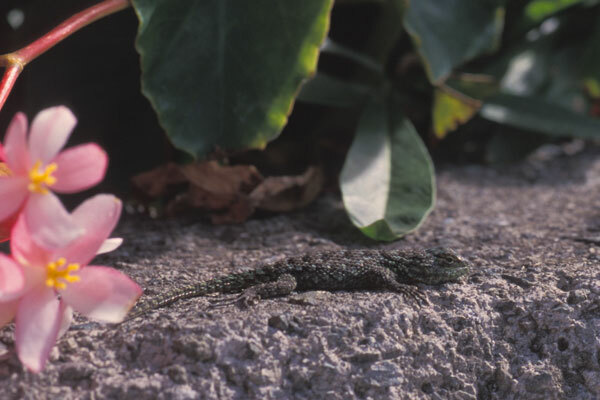 The green spiny lizard is the southernmost representative of its large genus, widespread throughout the U.S., Mexico, and northern Central America. Now that's what I'm talking about. 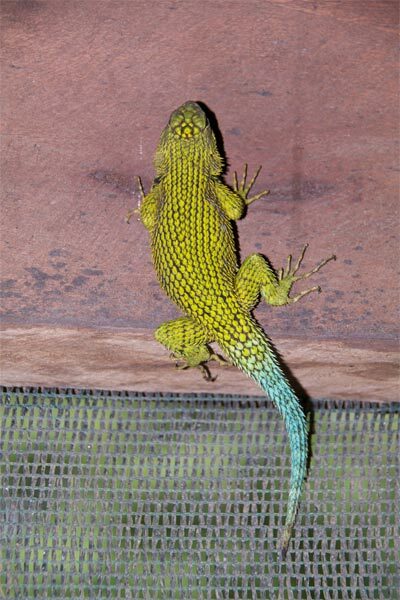 This is no slightly-green li'l baby lizard.